You don’t hear much about the Irish military or indeed the Irish secret service these days, which is undoubtedly down to the country’s policy of neutrality and non-membership in NATO. Irish troops are only deployed within Ireland and only on UN peacekeeping missions abroad. It is also occasionally deployed in NATO led peace-enforcement missions such as KFOR (Kosivo). So in this week’s series we’re going to offer a quick insight into the Irish intelligence network as it stands today and the role it has played in the past. There are two main sections of the Irish intelligence community – one named “Special Branch” belonging to the national police force, the Garda Síochana, and the other named “G2” belonging to the Irish Defence Forces. When Ireland became a separate state to Britain after the War of Independence (1921-22), there was an obvious need for a police force. The decision was made to create an unarmed force to quickly gain the public’ trust and distance themselves from the reputation of former British police force, the Royal Irish Constabulary. As such, in 1922 the Garda Síochana was formed. Unfortunately, civil war quickly broke out between the rebels who had fought the war. One side was in favor of the peace treaty with Britain, the other was against it (because it divided Ireland in two, with the northern counties remaining in the UK). The new government was determined to combat their former allies using the criminal courts, so the Garda Special Branch was formed. They worked alongside G2 in gathering intelligence on what were called the ‘Irregular’ or ‘anti-treaty IRA’. Today, they conduct operations and investigations within Ireland to ensure the safety of the President and politicians. They also investigate terrorist threats from forces within the island of Ireland and assist foreign bodies in combating terrorism. Examples include the FBI and MI5 – the Garda Special Branch have uncovered numerous Al’Qaeda circles that were using Ireland as a safe heaven, and extradited them to either the UK or USA. G2 cooperate heavily with both the garda special branch and foreign agencies such as the CIA. They have penetrated and succeeded in breaking up numerous threats to the security of Ireland. Their first real test came during the second world war. The Irish prime minister at the time, Eamon de Valera had decided Ireland would remain neutral during WW2 despite pressure from the US and UK to join the war. The reasons behind this were lack of public support (it was seen as assisting ‘the old enemy’. ie the UK), lack of military capability and as a sign of complete independence at a time where the state was still finding its feet. The anti-treaty IRA however, despite being defeated in the civil war, had not disbanded and began to make contact with Nazi Germany. They provided intelligence and cooperated in forming plans for a German invasion of Ireland to act as a backdoor into Britain. This, if left unchecked, would have provided US and UK troops stationed over the border in Northern Ireland with a mandate to invade, as the allies were eager to make use of Ireland’s airfields and ports to patrol the Atlantic and to station more troops in Europe. It also violated Irish neutrality. G2 actively combated the IRA network and many were interned for the course of the war (about 5,000 of them). They used contacts within the IRA and heavy surveillance and monitoring of IRA transmissions and movements to ensure there was little or no cooperation with Nazi Germany. G2 have also assisted MI5 throughout ‘The Troubles’ (Northern Irish conflict between the IRA and UK forces 1969-1998) and still continue to do so today against dissident militants who refuse to cease operations. They combat weapons smuggling, training and bomb plots on both sides of the border along with the regular police force. Security operations and coordination with foreign services is also a big part of their job. For example, this year Ireland will have three major state visits, the likes of which haven’t occurred in decades or ever. The Pope will visit Ireland, which will require immense security. Secondly, Barack Obama is to visit toward the end of May, which will involve providing security and coordinating with US security – as is always necessary for a traveling US president. 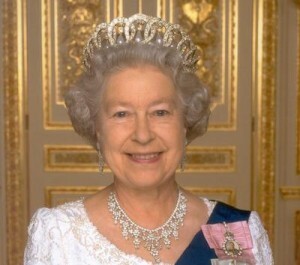 Finally, and most significantly, the Queen of England is to visit. 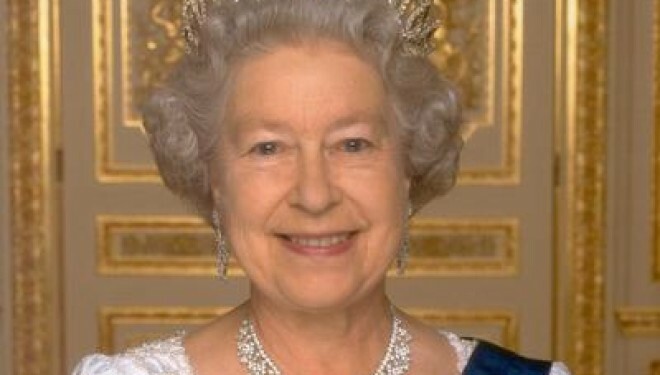 This is the first time in history the head of the British Monarch will visit the Irish state. She is expected to make several key speeches aimed to smooth over historical differences and apologise for atrocities of the past. While it’s unlikely any attempt will be made to enact violence upon the royal family, there is already a massive security operation underway to secure Dublin Castle and other venues where the Queen will be present and combat any threat, no matter how small, from small dissident republican forces such as the Real IRA. Overall, the Irish intelligence services are much smaller than their foreign counterparts. 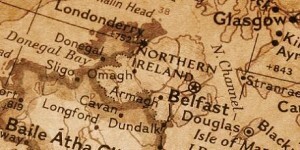 The country itself has a population of under 5 million and since the Good Friday Agreement in 1998 between the UK government, the Irish government and all main militant organisations, there has been a sharp decline in militant activity on both sides of the border and almost entire peace. They maintain this peace, combat civil threats (such as smuggling and foreign cells using Ireland as a base) as well as coordinate with foreign services. As the Communist Chinese are doing exactly like the Soviets did to create satellites. Which is to create massive communist SOE’s that create supply chain cartels that allow them to own 97% of the worlds resources. Then they dump cheap arse products on everyone forcing them to lose their jobs. As such, forcing the government to lose taxes. Which then forces the government to take out more loans to pay for overhead. In which once the jobs are all gone and no one can pay the bills. In comes the Communist Chinese.